Songpyeon was one of the first Korean dishes I ever made, a number of years ago while studying in Korea post-college. At the time, I was staying with a friend’s relatives outside of Seoul for Korean Thanksgiving (Chuseok). Songpyeon is one of the traditional foods Koreans eat during Chuseok. [NOTE: Chuseok typically takes place in either September or early October — it’s the 15th day of the 8th lunar month.] 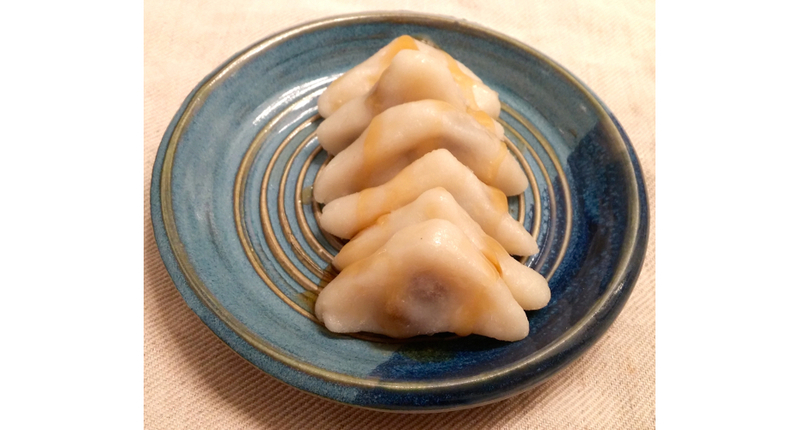 My friend’s aunt made a large batch of songpyeon dough and asked us to stuff it with filling and shape it into dumplings. I helped with those two steps, but I didn’t learn how to make songpyeon on my own. That’s why I’m attempting it now, as part of my Korean Food Project. I have fond memories of that day and of songpyeon and I’m excited to revisit the dish using this recipe. *You can buy rice flour at Asian grocery stores or the Bob’s Red Mill brand on Amazon.com for about $4. See photo above. 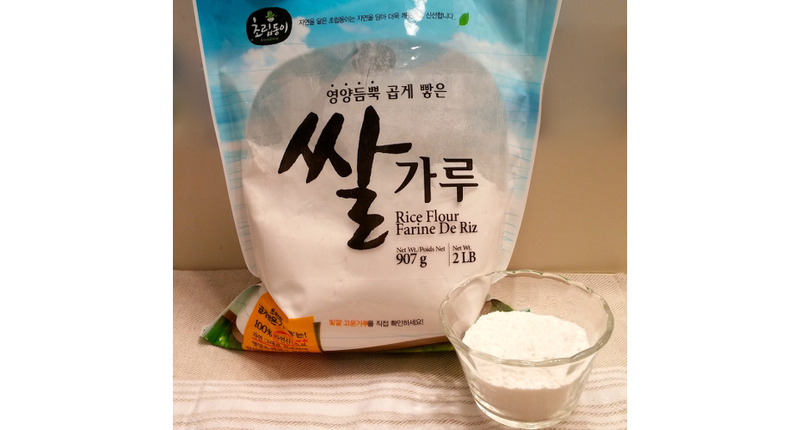 As I mentioned in my earlier post about tteokguk, you can also make rice flour from scratch, but it is quite laborious (involving the soaking, straining and grinding of short-grain white rice.) The necessary steps are outlined here on Maangchi’s blog, which I think is the best English-language blog about Korean cooking. Knead all dough ingredients together. 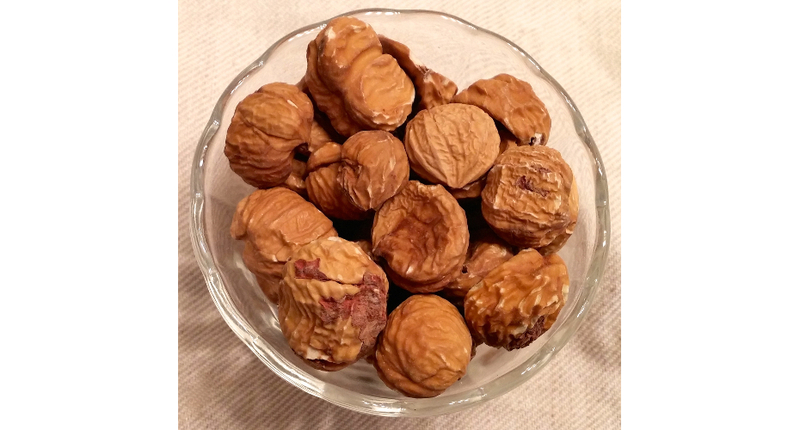 Form dough into chestnut-size balls and set aside, covered with a damp towel. Make a hole in each ball of dough and stuff with all 3 kinds of filling: 3-4 raisins, ½ tsp. chestnut mixture, ½ tsp. sesame seed mixture. Arrange one layer of dumplings over needles; repeat with needles and dumplings. Steam over high heat until cooked through. Drizzle honey over dumplings just before serving. ***Songpyeon are usually shaped like half-moons, clamshells, teardrops or round balls. But, as you can see above, mine came out looking like triangles. Over time, I hope I will improve my songpyeon-shaping skills. ****I used a circular, 10-inch, bamboo steamer, like this one.